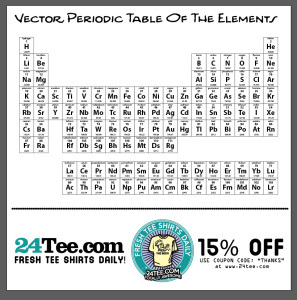 Here’s a vector periodic table for your science projects. In vector format, this is useful for many things. Click the image to download the file.